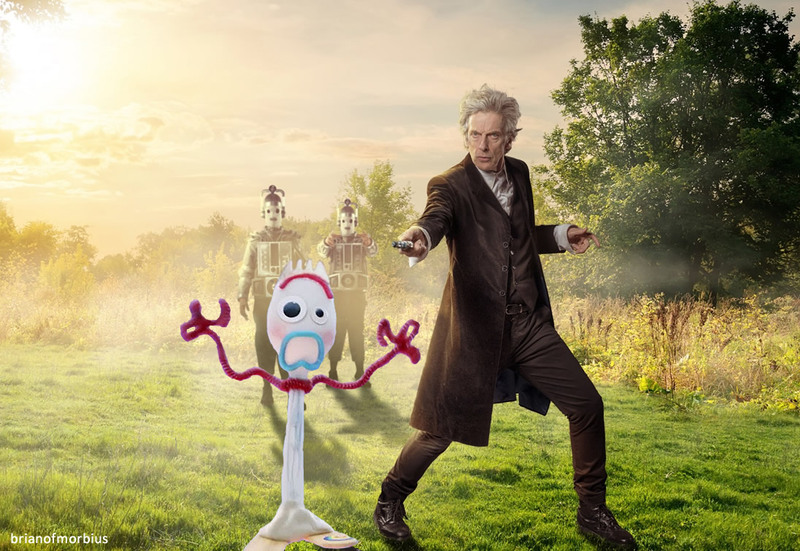 For example, fellow blogger Frivolous Monsters once recounted a tale of how a slightly awkward exchange with Jon Pertwee, some two decades previously, was actually far less awkward in reality than it had been in his head. It is a good story, and worth reading. But his point – and mine – is that it’s very easy to look back at a not-so-terrible thing and make it far more terrible for the sake of dramatic emphasis, or perhaps because it somehow defines who you are. 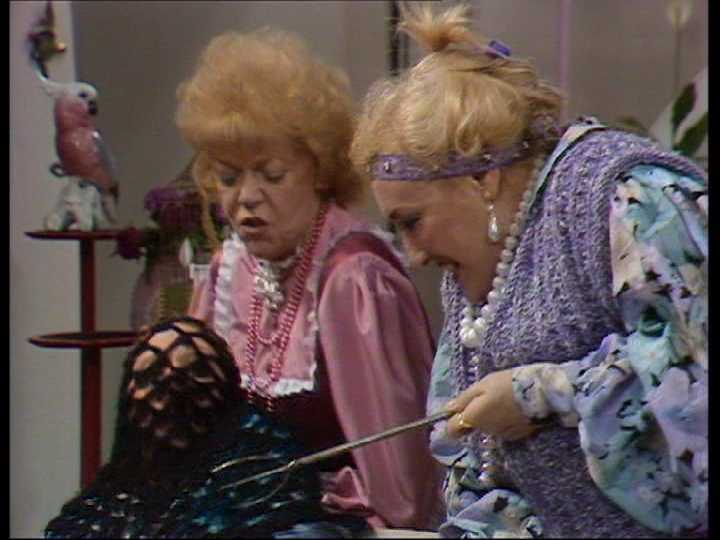 On a lesser scale, ‘Paradise Towers’ is thus what I am going to term ‘one of my Pertwee moments’, largely because when I watched it again the other week it was far less terrible than I remembered it. 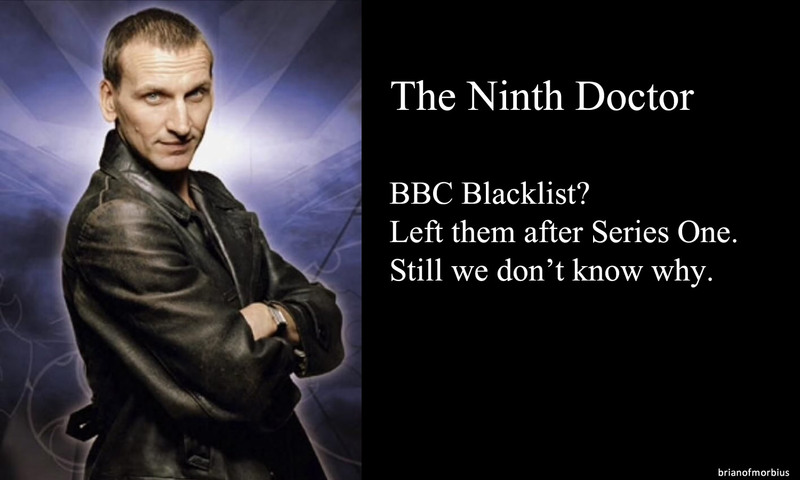 1987 was a dark place in Doctor Who’s history. 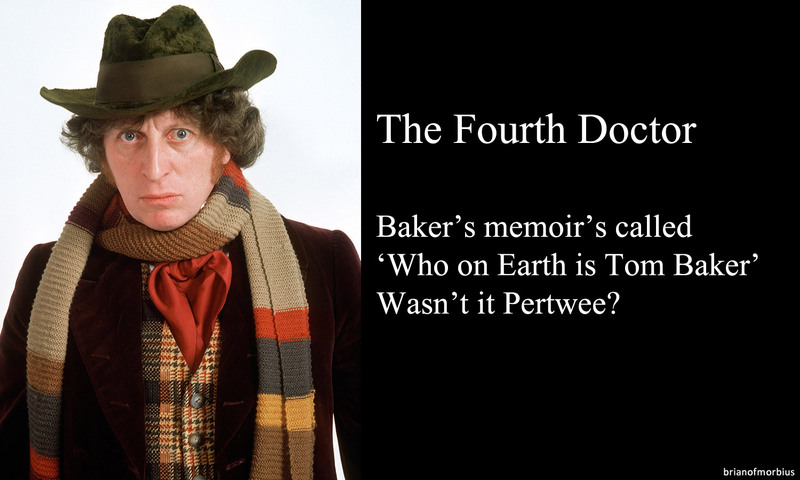 The new theme was plodding and tedious. 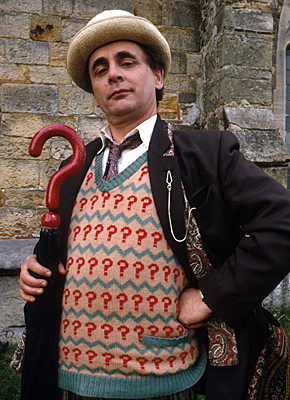 The Rani – one of the most potentially interesting villains – was reduced to cosplay. The companion was all about stage school theatrics and a lot of screaming. 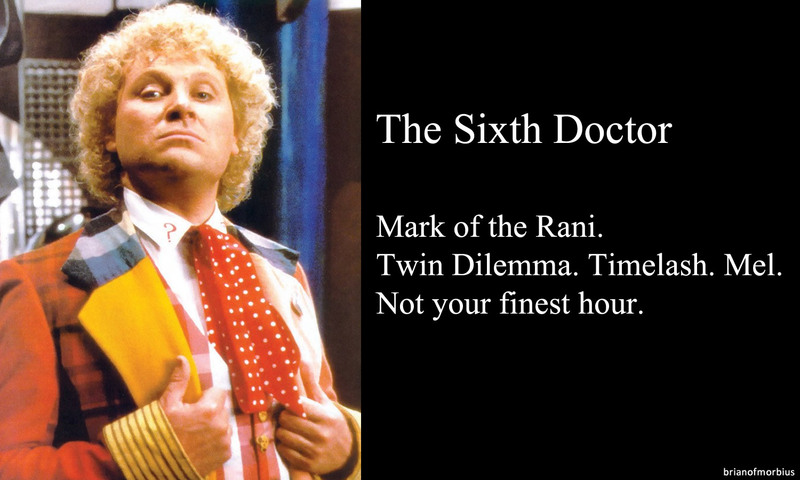 A wig stood in for Colin Baker. 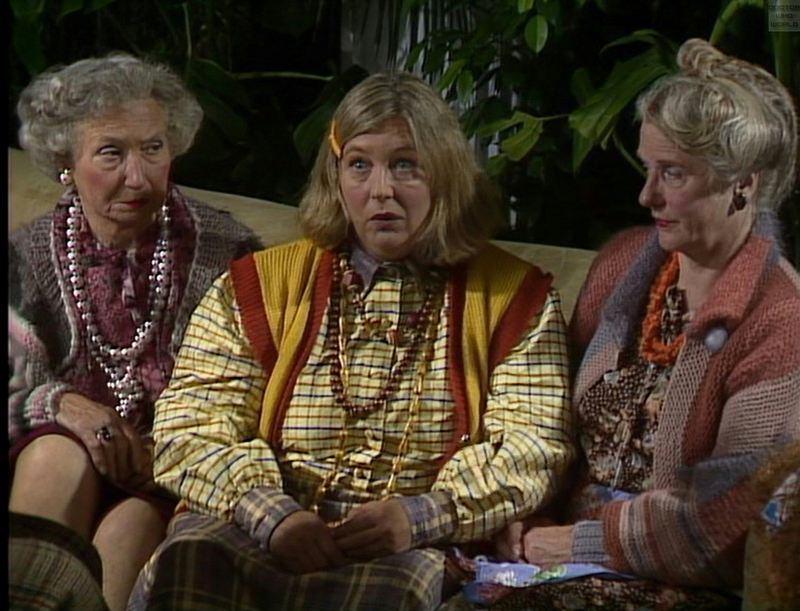 Pip and Jane’s script for the series opener was a disaster, and ‘Delta and the Bannermen’ wasn’t much better. Until two weeks ago I used to tell people that ‘Dragonfire’ was the only half-decent story of the lot (and even that lost a lot in translation) but as it turns out, I rather misremembered my childhood. 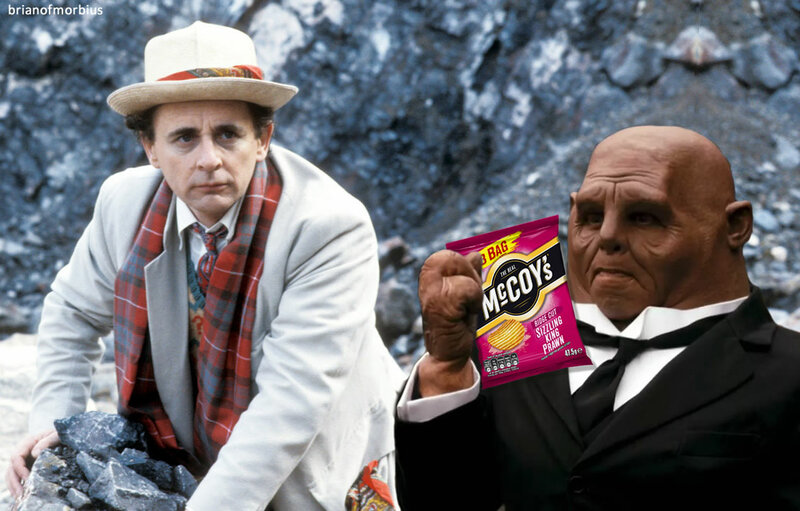 Because it turns out that the Doctor and Mel’s little foray into a derelict block of flats is, in fact, really rather good. The story – such as it is – concerns a lot of back and forth between one lair and another, with groups of isolated factions locked in a stalemate that goes back decades. The building’s architect turned out to be a twisted maniac whose quest for perfection extended to murdering the people who wanted to live in his buildings, lest they should spoil them; the citizens of Paradise Towers thus banded together and left him trapped in the basement, creating a monster in the process. Meanwhile, the grown-ups have gone to fight a war (with the exception of the cowardly Pex – more on him later) leaving their children to spend adolescence roaming the complex in an extended game of capture-the-flag, while the caretakers clean up the graffiti and the elderly cower behind locked doors, eating the rats and occasionally each other. MEL: You are joking, aren’t you? Tilda? Tabby? TABBY: We don’t see this as a matter for humour, Mel dear. We mean every word. TILDA: In our experience, Mel dear, it is much better not to struggle too much. It only causes needless distress. Sadly Mel doesn’t get eaten. It might have evened up the narrative a bit: her behaviour throughout the story is so irrational it borders on the insane. 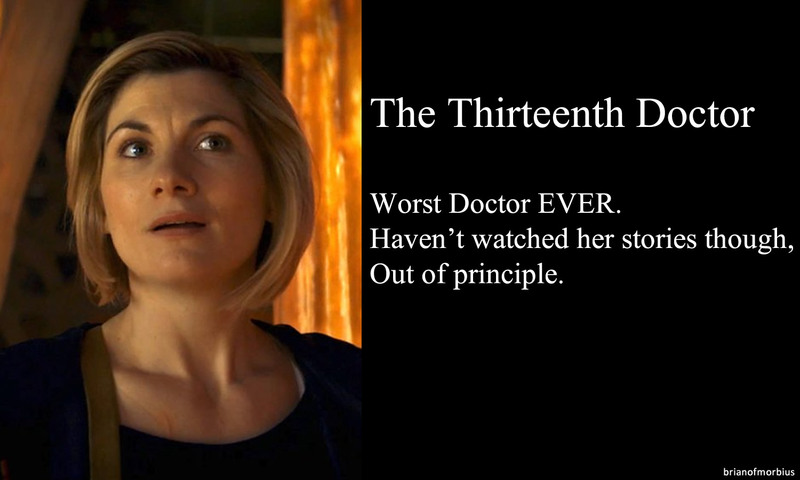 The rot sets in as early as the first episode, with the irritating fitness freak sitting cosy and snug inside Tilda and Tabby’s apartment, greedily consuming cakes and crumpets by the dozen (this, lest we forget, is the woman who offered to make the Doctor carrot juice and put an exercise bike in the TARDIS). I could live with her dietary slips – although I imagine that next Weight Watchers’ meeting would be rather awkward – but not once does the odd behaviour of her hosts appear to faze her. It is like a scene from an Enid Blyton novel, with optional homicide (including a kitchen knife that would land the BBC in hot water come the following week’s Points of View). But that’s not the worst of it. Some time later, Mel (in the company of Pex, here to put the world of Paradise Towers to rights) finally reaches her Mecca, which takes the form of the swimming pool on the top floor. It’s where she is supposed to meet the Doctor, but in spite of all that’s happened – homicidal robots, sadistic jobsworth bureaucrats and Twisted Sister’s entire fanbase – Mel’s first priority is to undress and go swimming. “Look, here it is!” she exclaims in delight. “Oh, it’s just how I imagined it.” It is, in fact, a rather run-of-the-mill swimming pool, and Mel’s exuberant enthusiasm is somewhat baffling – I appreciate that locations couldn’t be helped, but surely they could have toned it down? Five minutes later, and Mel’s in the middle of a dip – presumably she was wearing the costume under her clothes, which must have chafed a bit given all the ruffles – only to be attacked by a sinister yellow crab that’s been watching them the whole time and that nobody saw, despite it taking up half the pool. Not long afterwards, the bedraggled computer programmer is looking rather forlorn on a sunlounger. “Pex?” she says, mournfully. “I’m sorry.” So are we, Mel. So are we. 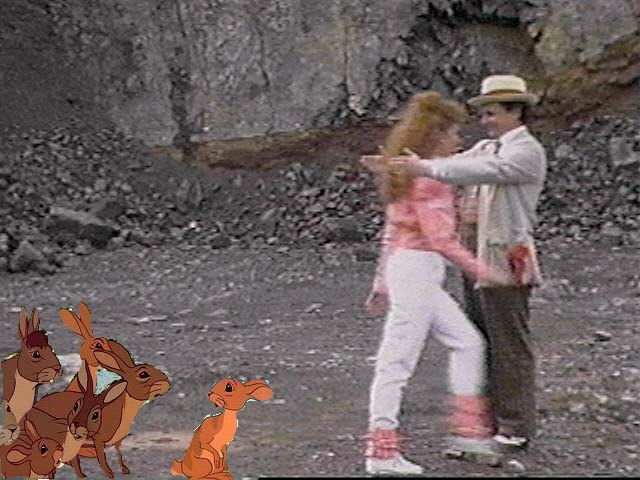 Most of this is not the fault of Bonnie Langford, even if she plays Mel the way she played just about everything in the 70s and 80s: as if she’s on a stage, rather than in front of a camera. Subtlety goes out of the window, down the road to the shops and then hops on a bus to Frinton. 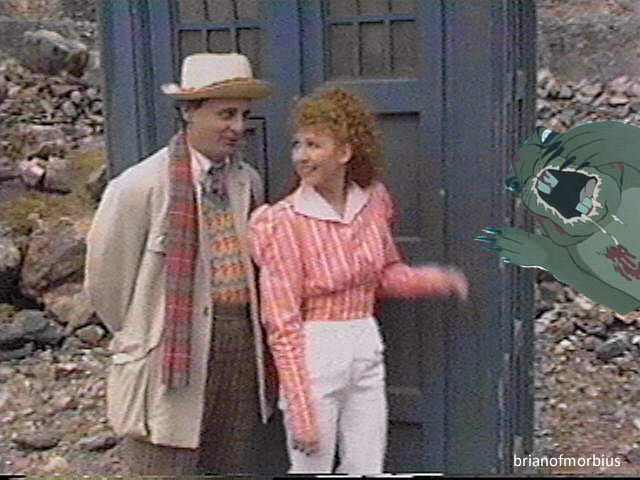 But the fact that the programme was in flux didn’t help matters: “There was a companion,” says Wyatt, “who had no definable character except she was played by Bonnie Langford, and so again the writing was very generic. This is no criticism of Bonnie at all, it’s just that Bonnie wasn’t given anything to do except what she’d always done – which was to scream.” By all accounts (all right, Gareth Robert’s account) she is currently very good in Eastenders. 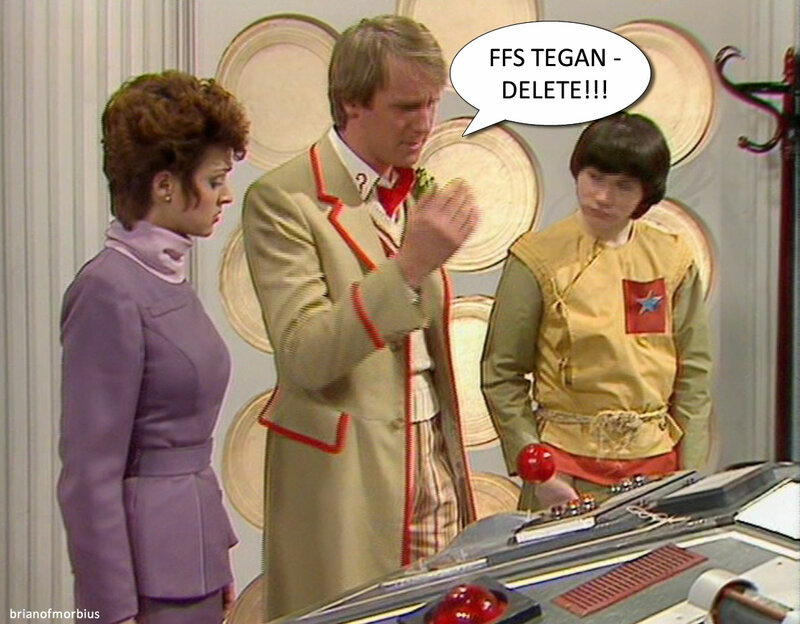 “Just imagine,” Roberts tweeted just the other week, “if she’d been given proper acting to do in Doctor Who“. It’s not all Mel. 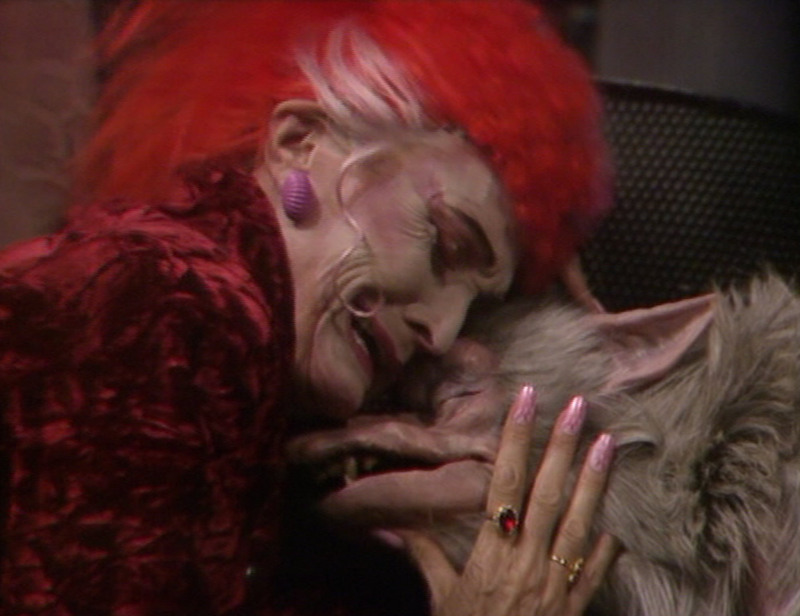 Richard Briers’ performance is somewhat ham-fisted in the final episode and annoyingly twitchy in the first three. On the other hand, perhaps this is exactly what the story needs. 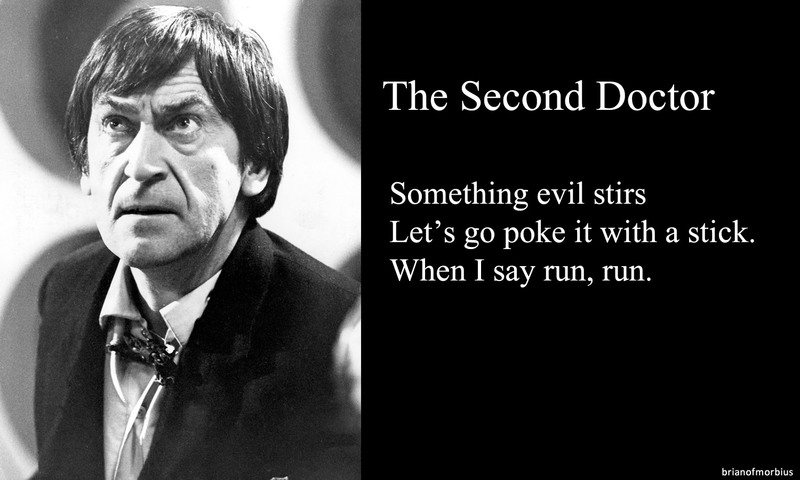 Certainly his zombie mode is practically Shakespearian. He’s also hindered by poor characterisation: the chief architect, supposedly the mastermind behind the entire scheme, goes to his grave as an almost criminally underdeveloped villain. We know next to nothing about him save the manifestation of bloodlust; as in ‘The Satan Pit’ it’s left to the Doctor to provide all the exposition. This wouldn’t be a problem but the monster has a voice of its own – it just doesn’t say much beyond “HUNGRY!” and “DESTROY ALL HUMANS!”. This is a shame, because other characters work very well. The Kangs are all basically nondescript clones, but Pex is an unexpected delight. I use the word ‘unexpected’ because in 1987, I absolutely hated Pex (and it’s this, I’m sure, that forms the bulk of my prior aversion towards the story). He struck me as irritating and ridiculous. With the benefit of almost three decades of hindsight, it’s far easier to see him for what he is: a lampoon of 1980s action heroes, brawny but ultimately useless. 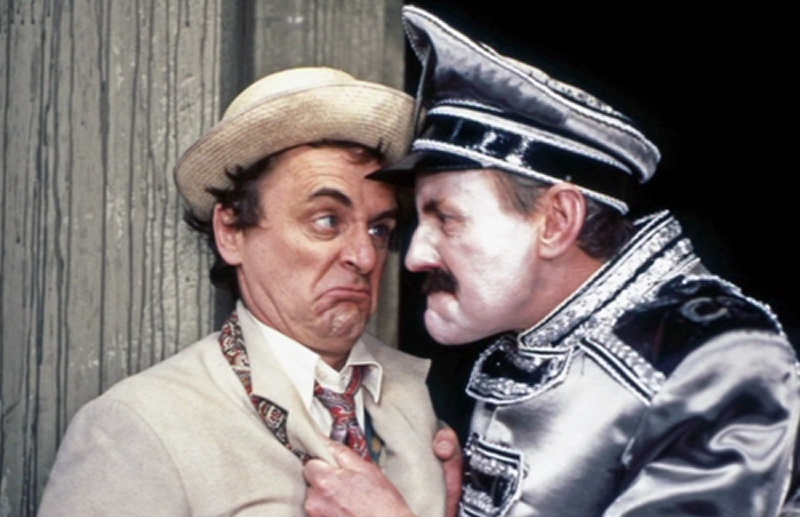 It’s partly the casting – the DVD documentary reports that several more muscular men were turned down because they looked ridiculous standing next to Bonnie Langford, but Howard Cooke has enough build to pop a seam while simultaneously managing to look (and sound) like someone who’s actually far less capable than he actually is. Pex’s character has a beginning (although that’s mostly backstory), a middle and an end – something comparatively rare in 1980s Who – and there’s something very satisfying about his final, rather uneven redemption. 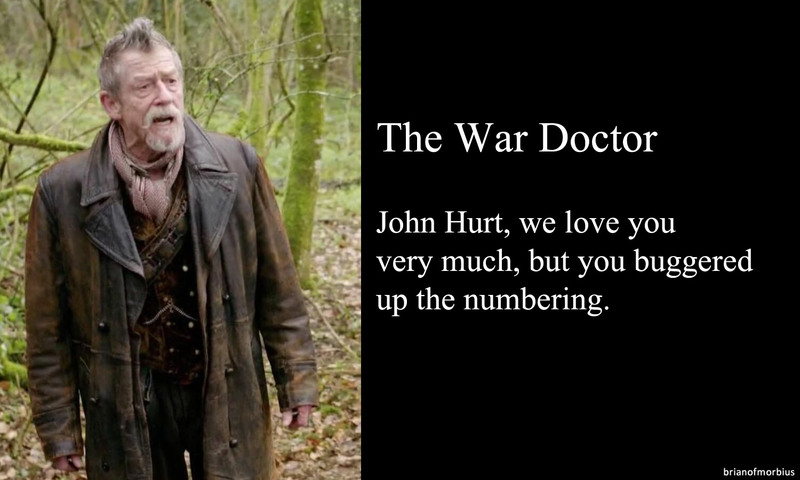 He dies a hero, but a suitably reluctant one, and this makes his journey all the more believable. Other things: the Kangs’ tendency to misuse words echoes Orwell, but the mythology constructed from a lifetime of roaming derelict corridors is reasonably solid, and it’s quite fun to listen to them. Certain suspensions of disbelief are required – the adoption of ‘Build high for happiness’ as a greeting seems a little odd, given that the Kangs spend most of their time on the lower levels, and is it really likely that they would know ‘unalive’ but not ‘dead’? And my goodness, the counting. Half the script seems to be a recitation of numbers – rules, floors, Caretaker IDs. ‘Half’ is, of course, something of an exaggeration, but let’s just say we don’t go short. In fact there are so many that I took the liberty of putting them all together. Look, some of it’s a mess. The lighting is all over the place – or rather it isn’t, taking its cue instead from the harsh studio lighting that blights much Classic Who (see ‘The Happiness Patrol’, which would have worked beautifully on film). Lines like “We’ll send the cleaners to the cleaners!” are cloying, and Mel’s spotty outfit is a train wreck. 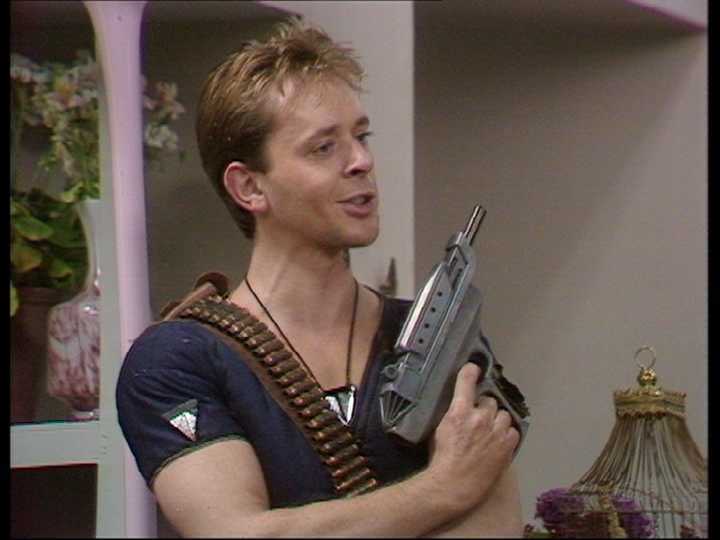 But there’s something infectiously silly about this whole setup – something that makes ‘Paradise Towers’ more, somehow, than the sum of its parts. 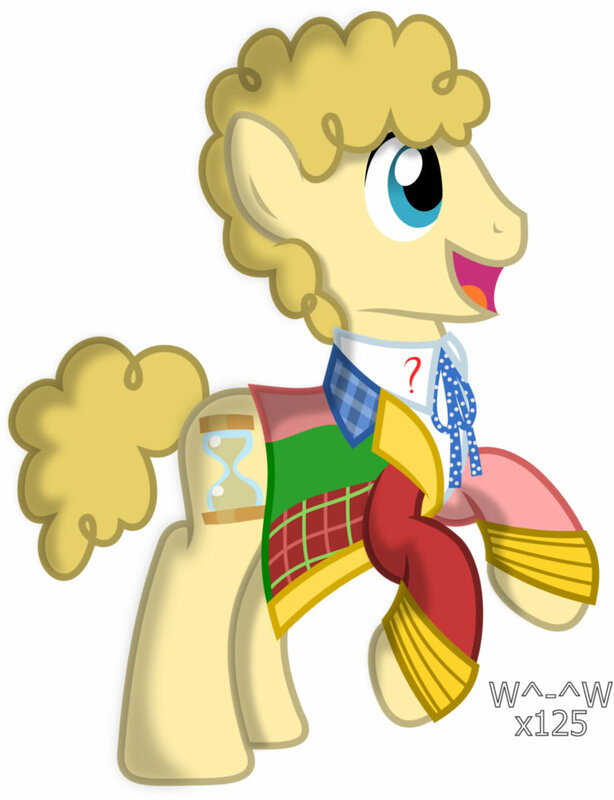 Perhaps it’s McCoy, who makes the most of a script that could have been written for just about any Doctor, largely because the Seventh Doctor had yet to be fleshed out when Wyatt hit deadline. Perhaps it’s Howard Cooke, who steals most of the scenes he’s in. Or perhaps it’s Clive Merrison, who by turns manages to be menacing and ultimately heroic. In any event, ‘Paradise Towers’ works. You feel, somehow, that it shouldn’t. But it does. Rather like those alleviators. A review of The Hobbit, carried in The Independent (which hasn’t been since about 1996), contains the following text. My initial thoughts ran along the lines of “How very dare you”. Then I sighed with resignation. It doesn’t really matter any more. 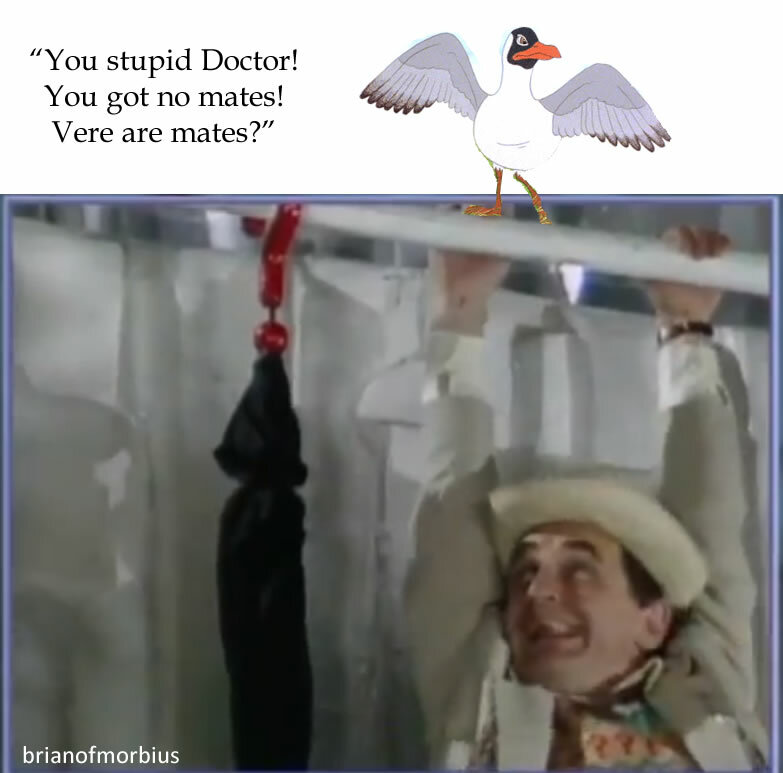 The image above is taken from the mother of all cliffhangers, in which the Doctor is seen hanging from a ledge by his umbrella FOR NO GOOD REASON AT ALL. (There’s a reason in the script, of course, but time constraints being what they were they never got round to shooting it.) 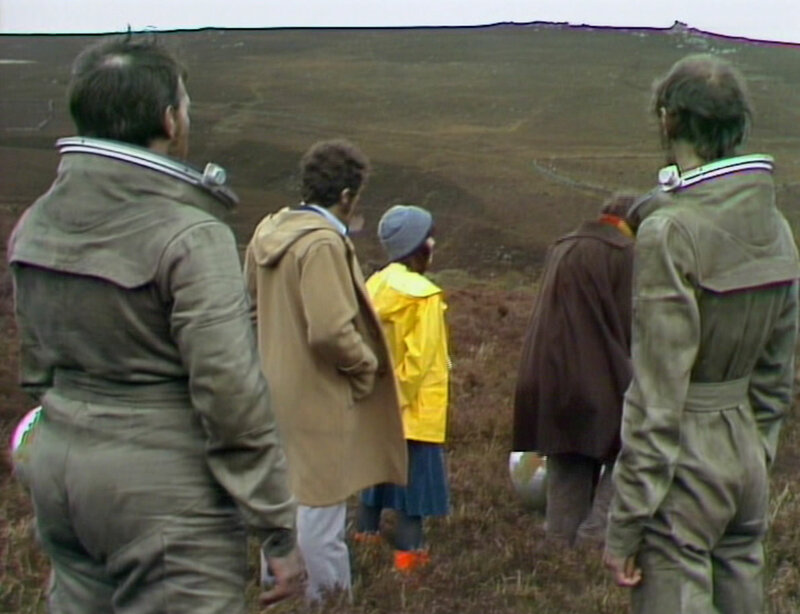 It’s the end of episode one of ‘Dragonfire’, which also features a scene which is eerily reminiscent of Watership Down. 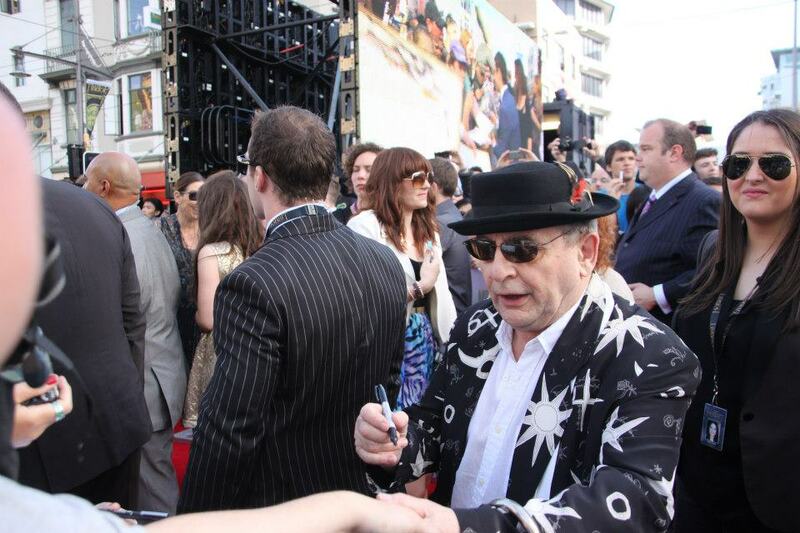 Behold: courtesy of my friend in New Zealand, I give you pointless Hobbit cameo appearance #37: Sylvester McCoy, who plays Radagast, who’s not in the book. There are plenty of shots of him in costume, but here he is at the premiere. Apparently Victoria asked to shake his hand and he signed it instead, which was probably a Chinese whisper, understandable when you’re trying to make yourself heard in a screeching crowd clamouring for a view of Elijah Wood (who plays a character who’s not in the book) or Cate Blanchett (who plays a character who’s not in the book) or Orlando Bloom (who – oh, forget it).